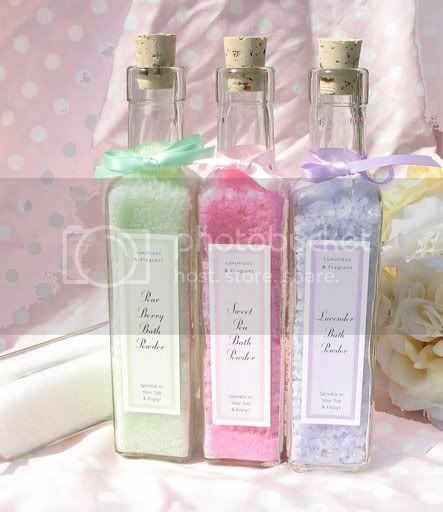 There is nothing more relaxing than a nice warm bath with scented bath salts, and I thought bath salts would make a great holiday gift. That is, until I saw how much they cost. Have you seen the outrageous prices of bath salts recently?? This prompted me to come up with a homemade version for gift giving. This is a great gift and very frugal. You could add a bath sponge to make a nice gift set. Mix in a large bowl for at least 2 minutes or until ingredients are very well blended. Using a funnel, pour into bottles or jars. You can decorate your jar with labels, gift tags, or ribbon.